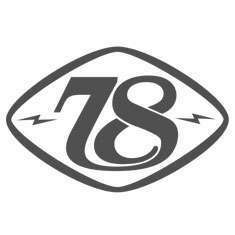 Based in Brighton, England, the 78 Motor Co was founded on a passion for all things mechanical and cool. They set out to make gloves that fit well, look great and most importantly give you the confidence to grab your machine by the scruff of the neck. We were already mightily impressed by the company’s Speed and Sprint glove but our jaws hit the floor when we were presented with the Sakura. It has a design unlike any motorcycle gloves we’ve seen before and the fit is exceptional. The leather for each pair of 78 Motor Co gloves is hand cut and crafted from the finest hides with their own unique patina. Every pair has been designed to sit close to the hand yet allow fluid motion with enough protection should the going get tough.